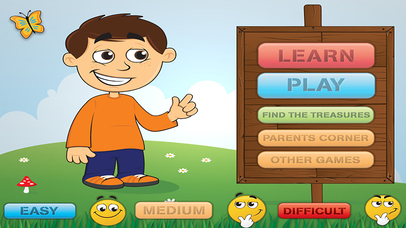 It teaches kids to read and write in English in a very funny way. without the help of an adult. . 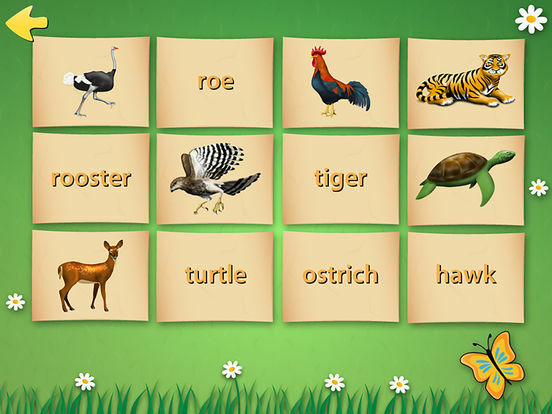 It really helps them to increase their reading skills and vocabulary. 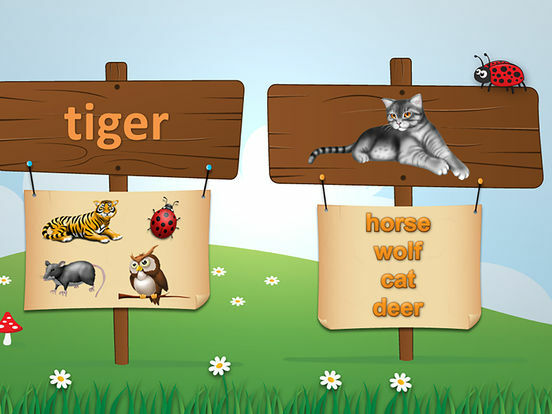 Learn to read and writecontains 150 beautiful drawings of simple words the are used in 6 different games with increasing difficulties. When your kid completes the game with a minimum score of 7 out of 10 he receives a coin that will allow Billy to uncover some parts of a map. 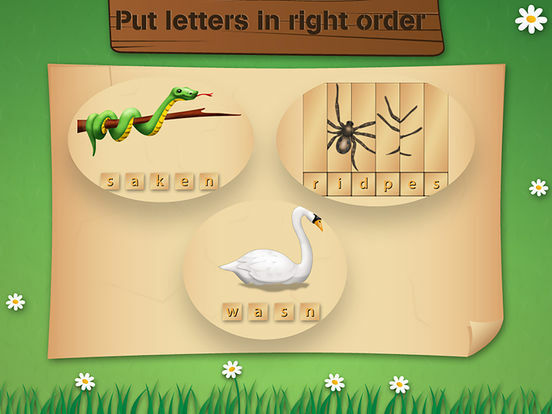 Words for Kids also contains a Learning mode and a phonetical help with writing . 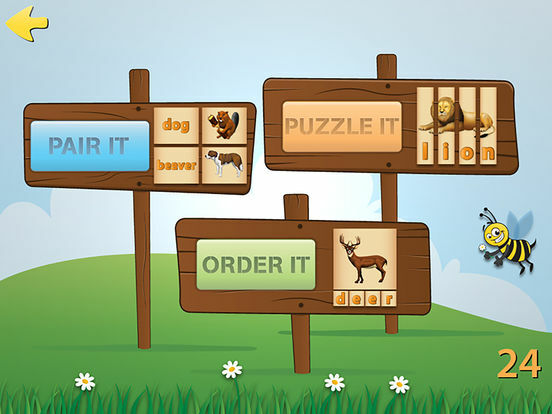 Words Game is available in Spanish, French, Russian, German and Dutch. Ideal to learn new languages! Out of 4 different words find the corresponding picture. 7 right answers and you get a coin. Pushing on the picture you’ll get the help from Billy saying you the word. Out of 4 different pictures find the corresponding picture. 7 right answers and you get a coin. The difficulty increases a bit. Here you have to match 6 pictures and 6 words correctly. When matched 6 correct pairs means a green light. 7 green light or more means 1 coin. the letters are in the correct order the picture is also correct. Here the purpose is to place the letters in the right order but without the visual help. However pushing on the picture, Billy will tell the kid the correct word. The ultimate game to learn writing words. Empty boxes to fill with letters. However, pushing on the empty boxes Billy will tell which letter is missing also in a “phonetic” way. But there is more help : pushing on the HELP button, the first missing letter will appear. Join Billy and discover where the treasure is.